The U.S. Food & Drug Administration (FDA) made two moves in recent days that seemingly address consumer concerns on some hot button issues. First, it banned the use of bisphenol A (BPA) based epoxy resins in coatings for baby formula packaging. Second, it proposed a limit on how much arsenic is allowed in apple juice. Looking more closely at these decisions, however, it seems that FDA is really more interested in appeasing industry, than doing its duty to protect the public. So what action is the FDA really taking? 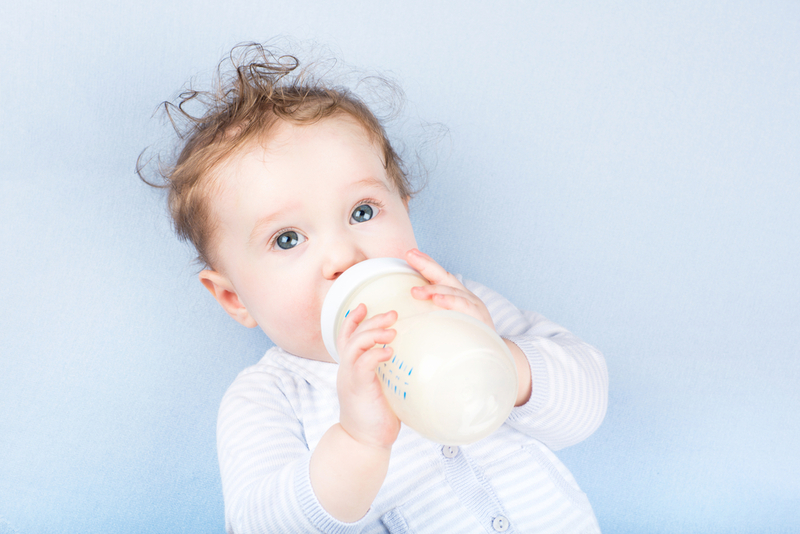 Due to intense consumer demand, manufacturers of infant formula packaging have already stopped using BPA. And, based on the new standard for arsenic levels, 95 percent of companies that make apple juice are already in compliance. The FDA’s BPA ban is actually an abandonment petition coming from industry stating that it is now illegal to use BPA for those specific products—but it does not say anything about the safety of BPA. Both the FDA and the American Chemistry Council, an industry trade group, have said that the BPA ban is in response to marketplace demands, not due to safety concerns regarding the ubiquitous substance. And there are an abundance of safety concerns regarding BPA as well as increased public awareness about the potential dangers of BPA. The American Chemistry Council has repeatedly dismissed the hundreds of peer-reviewed studies that link BPA to a wide range of health concerns including various types of cancer, impaired immune function, early onset of puberty, obesity, diabetes, and hyperactivity. In addition, a recent study published this June in the journal Environmental Health Perspectives changes our understanding of how BPA is absorbed by the body. Researchers found that BPA is absorbed under the tongue and goes directly to the bloodstream, resulting in a much higher exposure to the chemical. Of further concern is the fact that without clear government regulations, manufacturers can replace BPA with other chemicals that may be just as harmful. (I wrote about this in a previous article for Civil Eats). Hansen was more optimistic about the FDA’s new federal limits on arsenic in apple juice. The new regulation says that apple juice containing more than 10 parts per billion could be removed from the market and companies could face legal action. But the FDA stressed that most companies on the market are already below that threshold. Much of the concern around apple juice stems from a Consumer Reports finding published last year in which researchers tested 28 different apple juices bought from stores in Connecticut, New Jersey and New York. Five samples of apple juice tested and four of grape juice had total arsenic levels exceeding the 10 parts per billion federal limit for bottled and drinking water, according to the report. Consumer Reports also found high levels of lead in apple juice and grape juice as a result of insecticide use. The report also brought to light the fact that for the past decade, most concentrate has come from China (PDF) and concerns have been raised about the possible continuing use of arsenical pesticides there. While inorganic and organic arsenic are both found in these juices, it was originally thought that inorganic arsenic was of greatest concern, since it is a known carcinogen. According to the FDA, inorganic arsenic has also been associated with skin lesions, developmental effects, cardiovascular disease, neurotoxicity and diabetes. Organic arsenic was once thought to pass through the body more quickly and not cause harm. However, the FDA now states that organic arsenic may cause harm as well. “Some organic forms can be even more toxic than the inorganic,” Hansen explained. The arsenic found in apple juice is largely the result of years of arsenical insecticides being applied to apple orchards, Hansen said. He added that the science on arsenic is evolving so that scientists now believe it is far more toxic than was previously thought. Consumers Union, the advocacy arm of Consumer Reports, wanted a limit as low as three parts per billion, but the FDA is putting that limit at 10 parts per billion, a threshold that the vast majority of manufacturers already meet. According to an Associated Press article, “All of the experts—including the government and the consumer advocates—agree that drinking small amounts of apple juice isn’t harmful. The concern involves the effects of drinking large amounts of juice over long periods of time.” But for the public, that language is vague—especially for an overburdened consumer scanning labels and reading ingredients for products on grocery store shelves. Furthermore, a new study found that the combined effect of estrogen and arsenic significantly increases the risk of prostate cancer. BPA is one of the many endocrine disrupting chemicals in our food supply that has an estrogen-like effect in the body. Therefore, it is possible, that within that plastic bottle of apple juice is a potent concoction of chemicals that may lead to prostate and other forms of cancer. What will it take for the FDA to do its job and protect the American people? So far it seems that public and consumer pressure haven’t been enough. The FDA has yet to respond to the two million comments on the petition to stop the approval of genetically engineered salmon or the one million comments on labeling genetically modified foods. As is the case with the latest BPA ban and proposed limits to arsenic in apple juice, the public is left with no clear answers and no real assurance that the agency has its best interest in mind.